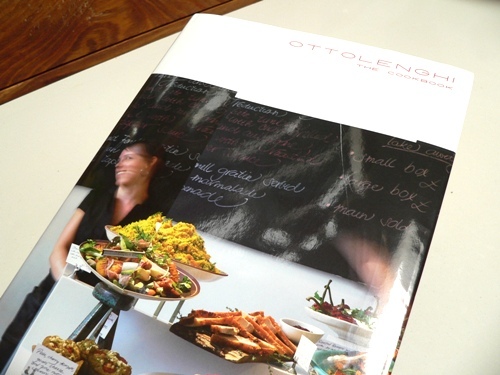 Auntie Lisa, as my boys know her, bought me the Ottolenghi cookbook for my birthday. Based on the food served at the iconic London restaurant, it has a wide selection of recipes, with some particularly appealing vegetarian offerings. Yotam Ottolenghi writes a column for the Guardian newspaper, focusing specifically on vegetarian cuisine, with interesting, different recipes – a nice change for folks who are so often relegated to eating side dishes. As Small Boy is still sick, I made these olive oil crackers, in the hope that the salt and crunch might rejuvenate his appetite. Very easy, and very delicious and he did eat several of them quite happily (thank you, Auntie Lisa!). Note: the original recipe had ¼ teaspoon of cayenne pepper as well, but I left that out as I needed this batch to be child-friendly. 1. In a large bowl, mix together all the ingredients except the Maldon salt. Squelch the mix between your fingers to get it all combined. 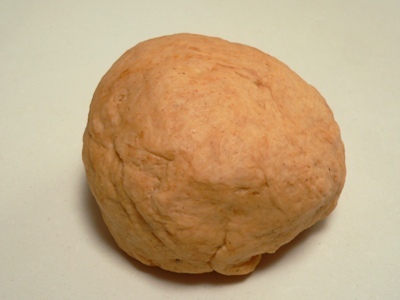 Then turn the dough out onto a clean workbench and knead it briefly until smooth. Wrap in cling film and leave it to rest for an hour in the fridge. 2. Preheat the oven to 220°C (or 210°C with fan). On a well floured surface, use a rolling pin to roll walnut-sized pieces of dough into what the book describes as “long, oval tongues, almost paper thin”. It’s a very appropriate description! Use lots of flour to ensure the dough doesn’t stick to the bench. 3. Place the crackers on a tray lined with parchment, brush the tops generously with olive oil, then sprinkle on the Maldon salt flakes. 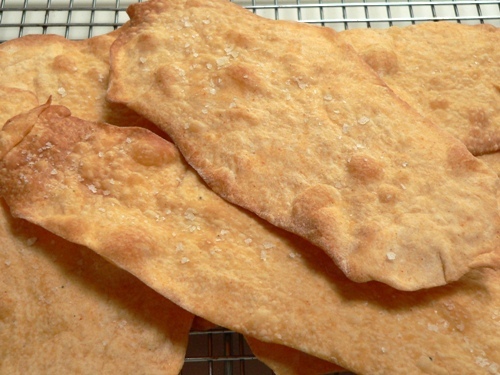 Bake for 6 – 7 minutes, until crisp and golden brown. Store in an airtight container. I love eating these crackers with some nice runny brie or blue brie….mmm….all the things I should be avoiding in one delicious, crunchy, sharp little bite (or thirty)! hmmm…now you are talking…diferent spice versions. And herb versions. We love the rosemary version we buy from Brasserie Bread. The colour of those crackers is simply beautiful! (The magic of a little paprika!) Great book isn’t it? Has food in it that you would want to eat every day, though their vegetarian recipes are often so full of cheese (s) that I pause, I think I once made something of theirs that had close on 1kg of cheese in it….. Thanks for sharing the recipe – they do look extremely tasty. Waw!! These crackers look so tasty & appetizing! Many greetings from sunny Brussels! Impressive! I love the book too – and used to live only 100metres from their first cafe – sigh. The aubergine with saffron yoghurt is v good as are their choc cupcakes – serious stuff. Hope Small Boy is feeling better. Thank you all, the crackers were delicious, and all gone by the following day. These crackers sound great. I’ve been eyeing up this book on Amazon for a while now – but really do I need another cookery book – ah the dilemma!